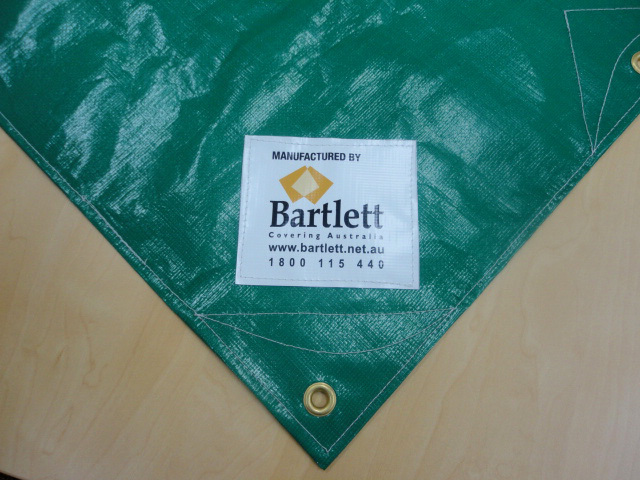 Haystack Covers – 3 year UV warranty, Manufactured in Victoria. Our Haystack Covers are green in colour and come with a full 3 year UV warranty. 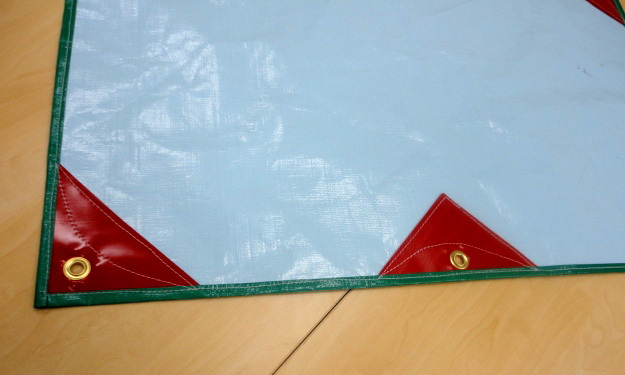 All seams on the covers are fully welded which prevents water leaking through stitch holes. Made from a woven polyethylene, all haystack covers have eyelets reinforced with PVC Vinyl spaced approximately one metre apart around the perimeter. This ensures the cover can be tied down tightly, thus minimising wind flap which is the main cause of damage to your cover. 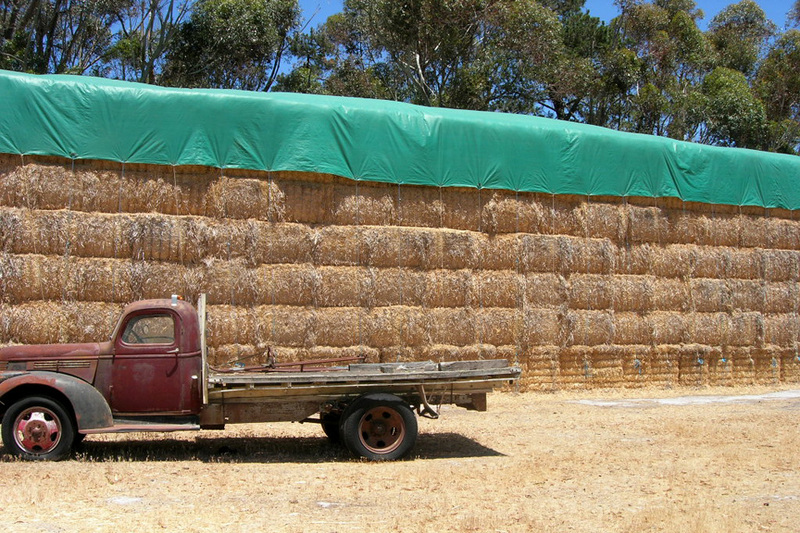 Why should you cover your haystack? 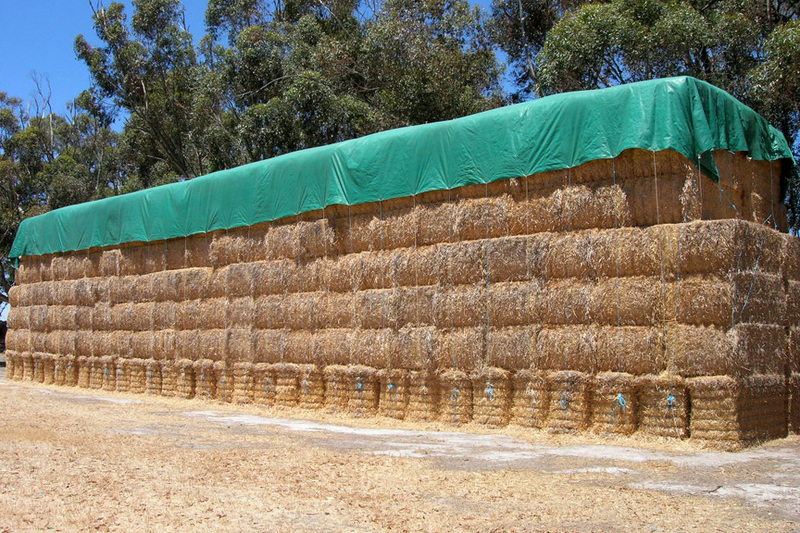 The ideal place to store hay is in a well ventilated dry area. 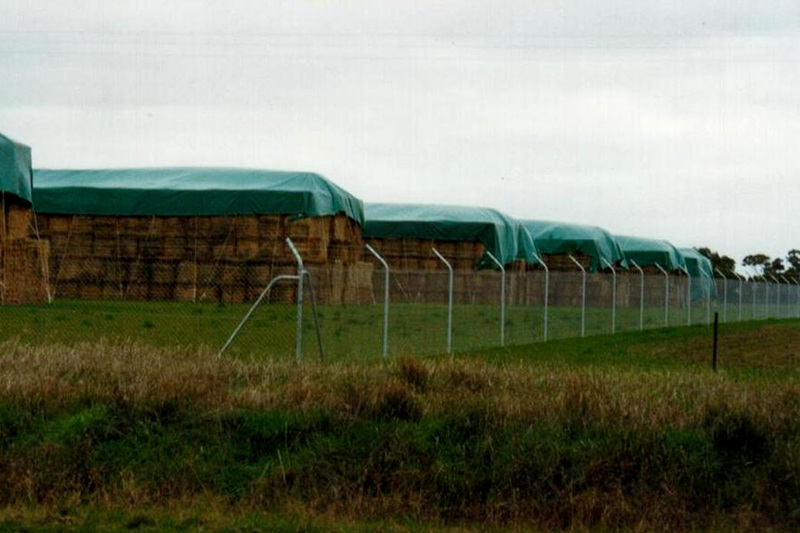 Unfortunately not everyone has a purpose built hay shed, so in the interim the haystack covers keep out the rain. Hay which is kept outdoors and is not covered correctly can dry out too quickly in the short term and in the long term become water logged, mouldy and start to rot.